If some sort of dish including nuts is to be part of a July 4th menu, then any of the candidates for inclusion ought to be indigenous to the land whose founding the meal celebrates. 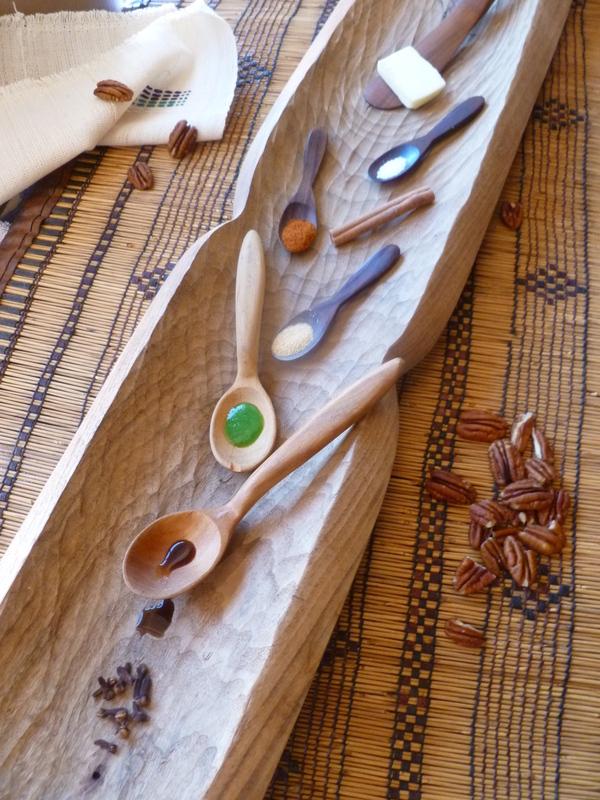 Hickory nuts, black walnuts, chestnuts are all likely contenders …and so are pecans. American Indians appreciated them and so did later European explorers and settlers. 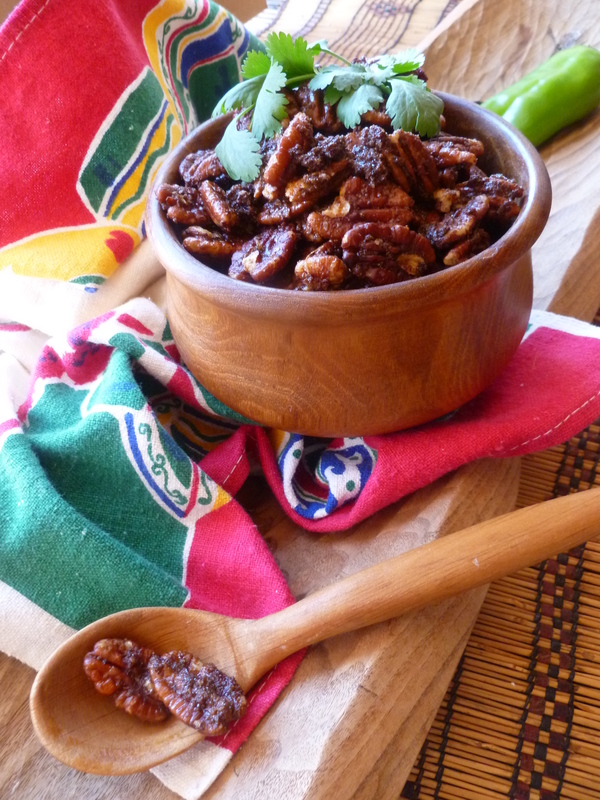 They grew wild in south and central North America and among the Caddo Indians of Texas the pecan was sufficiently prized to make it a subject of legend. 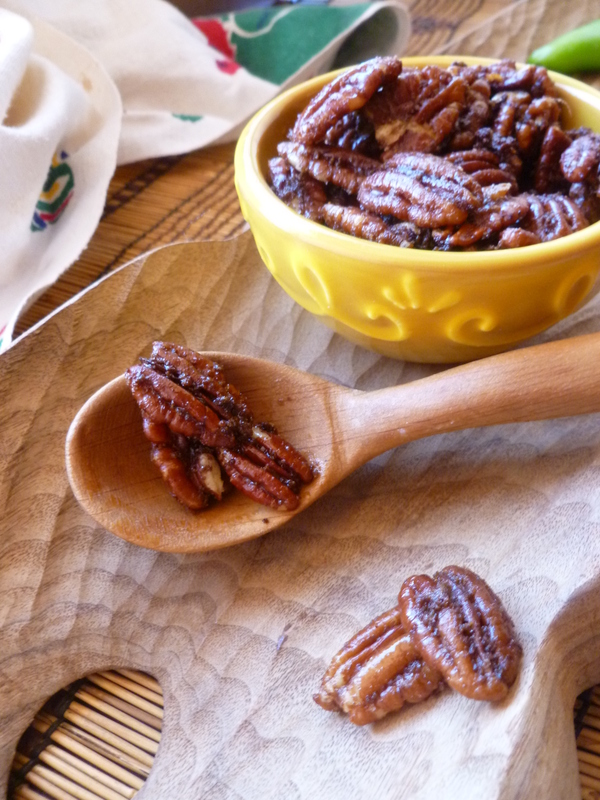 Long ago, according to the Caddo, all the pecans belonged to one old woman, known as the Mother-of-All-the-Pecan-Trees and she was very stingy with them. If you asked her to share them, she would give you only a few and insist that you eat them while you were standing right there in front of her in her lodge. People gradually grew resentful and decided they would make her share…which is a gentle way of saying that they would take the nuts away from her. They engaged four especially noisome young brothers to do the job, reasoning that if they failed, and the old woman killed them, they would at least be rid of the boys. The boys were delighted to take on the job. One of them scouted around the old woman’s lodge. Finally, her snores told him that she had fallen asleep. Now was the time to steal her pecans. So he hurried home to get his brothers. The boy entered his father’s lodge and, to his surprise, there sat Coyote, waiting for him. Coyote told them not to bother stealing the nuts. He would take care of it and he would do it by killing the old woman. The boys were disappointed. But who were they to argue with Coyote, who set off at once for the old woman’s lodge. He found her there, before the door, sorting nuts. The two exchanged greetings. The old woman stopped her work to watch Coyote. Then Coyote asked for some pecans. She gave him a few, which Coyote quickly ate and asked for more. Perhaps, he suggested, she would be good enough to get him a few more from inside her lodge. As the old woman turned her back to him and started inside to get them, Coyote hit her over the head with his stone knife. Mother-of-All-the-Pecan-Trees fell dead to the ground. Nuts spilled in all directions. After her death, pecan trees grew everywhere and no longer belonged to one single person, but were the common property of all. 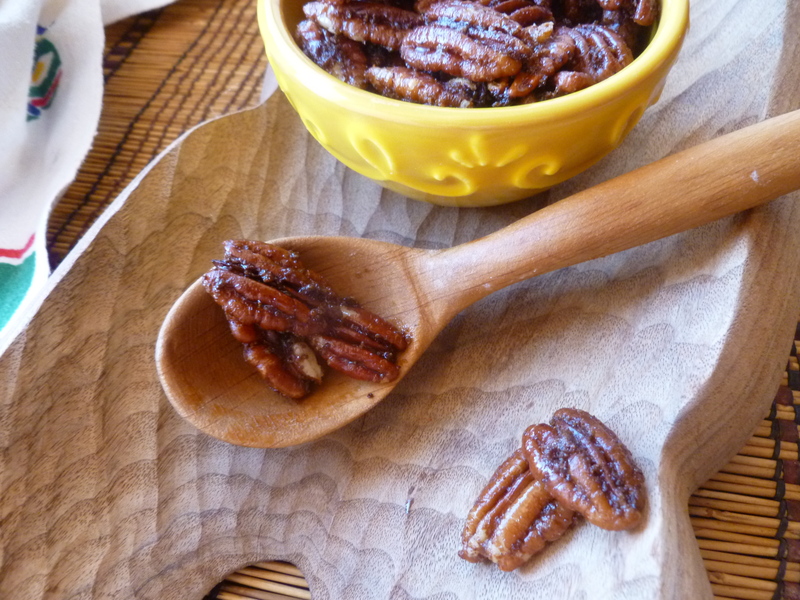 2 cups of Pecan Halves or, if you wish to make more, increase the amount to as much as 4 cups. There is no need to increase the amounts of the other ingredients if the amount of nuts is increased. 1 teaspoon of Chile Habanero Hot Sauce or substitute Tabasco or any other hot sauce if Habanero is unavailable where you live. 2. Melt the butter in a small saucepan. Remove it from the heat and stir in the Worcestershire sauce, salt, cinnamon, cloves, garlic powder, cayenne pepper and hot sauce. 3. 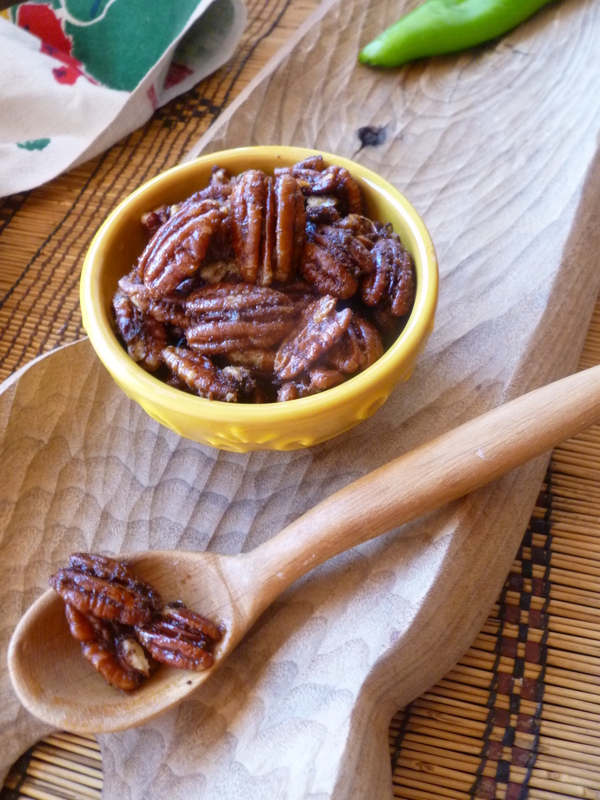 Place the pecans in a bowl, add the butter mixture and stir to coat the pecans well with it. 4. Spread the nuts out on the baking sheet in a single layer and bake them for about 20 minutes, or until they are golden and crisped. Serve them hot from the oven. A bit of fresh coriander (aka cilantro) or a fresh green or red serrano or Thai chili nicely decorates a bowl of these nuts. A Note: The nuts are served with drinks before the diplomatickitchen’s July 4th Dinner Under the Dessert Sky. The recipe is based on one in a nifty little cookbook by Karen Billideau, A Taste of Arizona (2006). And, although they are excellent served hot from the oven, as an addition to a picnic, they aren’t bad at all either. An Acknowledgement: This version of the Caddo Indian Pecan story is adapted from one in Jane Arcger’s book Texas Indian Myths and Legends. You can read portions of the book here in a preview on Googlebooks.